When I first got the opportunity to watch the Hartnell era episodes of Doctor Who it was the omnibus versions of the complete stories on PBS. As a young man and as much as I had always wanted to see these stories I initially found them to be a little boring especially when they were all seen in one go. A few years later I got into tape trading and was able to get these stories from WQEX in Pittsburgh in episodic format. I instantly loved the stories much more than I ever did before. These stories broken up in proper episodic format make it so much better to watch. 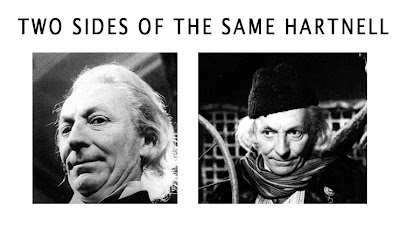 I love the cliffhangers and the ones for the Hartnell stories are unique. You can read about my adventure with all of that here. As I started to get the stories that weren’t on PBS, there was one story that I saw which I loved from my very first viewing. That was The Reign of Terror. One night, I was at a friend’s house and we had an all-night tape dubbing session of making copies of episodes for each other. This was back in 1989. It didn’t seem like these episodes were ever going to be released. In fact, the VHS of this story came out in 2003. It was in the middle of the night and we started to dub The Reign of Terror and I fell asleep only to wake up to the end of A Land of Fear with the Doctor trapped in the burning house. This woke me right up. This was a very different type of story. It’s like a real danger. Not a monster trapping them but an ordinary yet very deadly cliffhanger. I became a life-long fan of this story. The Reign of Terror is the final story of the first season of Doctor Who but not the final story recorded in the first production block. That would end two stories later with The Dalek Invasion of Earth. I have read a lot of fans say how boring they think The Reign of Terror is and I respect their opinion but I have a very different one. It is also said with Dennis Spooner writing his first script to the series that there are elements of comedy. Yes, it is black comedy but the story is one that is very dark. I think it is one of the bleakest stories of the series. 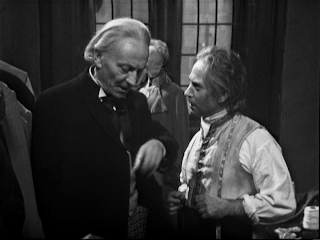 The story takes place during the French Revolution; it is the Doctor’s favorite period of Earth history. 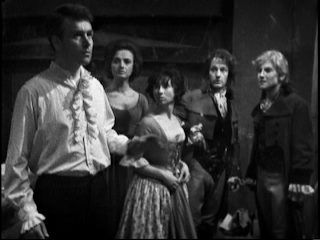 The TARDIS crew consists of The Doctor, Ian, Barbara, and Susan. They land in France which is a continuation from the end of The Sensorites. At the end of The Sensorites, the Doctor takes poorly to a comment from Ian and declares wherever they land next will be where the two school teachers will be ejected from the ship. 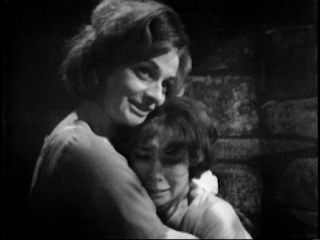 The tone of the end of that episode is very serious and is much more relaxed as we get into A Land of Fear. 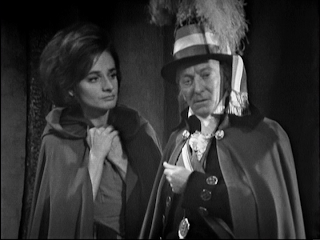 In fact Ian and Barbara, who do not believe for a second that the TARDIS landed in the school teacher’s own time, persuade the Doctor to go with it them to see them off properly. It’s a good thing they do so because they soon learn that they are nowhere near their own time. It doesn’t take long for them to get caught up in what’s going on. As they explore, they find an old country house that looks deserted. They go in only to find that they have stumbled on a hideout for counter-revolutionaries. This house includes clothes, papers and other materials to move people around in secrecy. 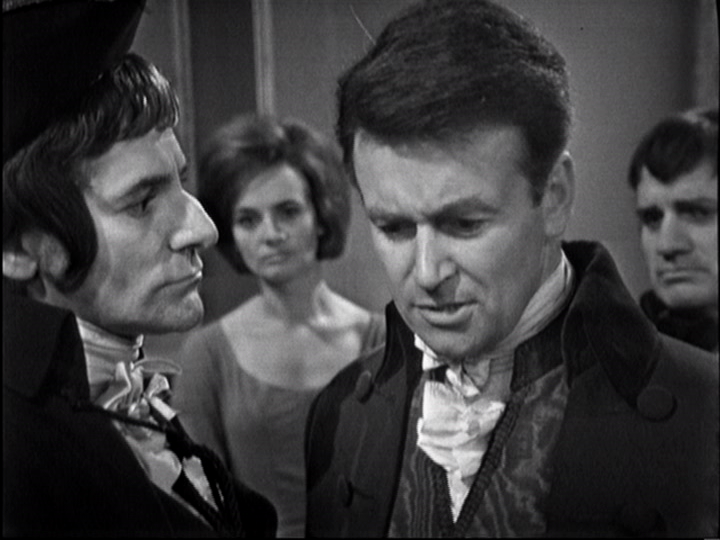 The Doctor is knocked out by one of the counter-revolutionaries. Very soon, these same counter-revolutionaries, D'Argenson and Rouvray, encounter Ian, Barbara and Susan and eventually believe they are no immediate threat. As they are about to retrieve the unconscious Doctor, revolutionary soldiers surround the house. D'Argenson and Rouvray are killed and the soldiers take Ian, Barbara and Susan prisoner. As they are led away, the soldiers decide to set the house on fire with the Doctor still inside. Like I said, it is one of my favourite cliffhangers. The story is very grim especially for the first 3 episodes. Ian is separated from Barbara and Susan in the Conciergerie prison. In reality, this is to allow William Russell 2 weeks holiday. I feel this helps the story greatly. It gives us a chance to see how Susan and Barbara handle one of the most difficult settings of their time together. Previously when they have been captured or in danger, a lot of this took place in the “science fiction future”. This is the area of BEMs (Bug Eyed Monsters). Even in some of the other historical settings they encountered, they had the support in some way from the Doctor or Ian. Now, they are completely on their own. They didn’t know what happened to Ian and they had no idea if the Doctor was still alive. It is a great moment for the two characters trapped in the cell trying to survive. Susan didn’t do too well but she is also just a child. She was getting a sickness and probably worried sick about her grandfather. I don’t think people give enough credit to how amazing and strong Barbara is as a character. Ian always seems like the stronger one but Barbara will always give Ian a run for his money. She keeps pushing Susan to try to find a way to escape while always giving words of encouragement. There were a couple of occasions that Susan breaks down over the enormity of the situation. This is where we see that determined Barbara quickly give-way to a compassionate caring woman which understands. She is really quite impressive. This is very much her story. I think what I really love about this story is its scope and breadth. Remember 4 of the 6 episodes were recorded at one of the tiniest studios in the UK at Lime Grove. Within 6 episodes we are in the outer-country of France which in itself comprises of several locations, we move to Paris where we go for the grimiest of locations of the Conciergerie to opulence of Robespierre’s palace. Within Paris there are a lot of other locations such as Jules Renan’s hideout, a crypt, physician’s office and of course a far off tavern called The Sinking Ship. The Sinking Ship is one of my favorite moments in the story as it takes place in the final episode, Prisoners of the Conciergerie, this is a gloomy tavern on a stormy night well off any well-travelled road. This is where a secret meeting takes place. This is one set piece out of many that is achieved so well. For me, one of the best parts of the story is the atmosphere it conveys. The pieces that should be gloomy are gloomy. This includes the afore mentioned tavern The Sinking Ship, the Conciergerie, even the woods that the Doctor and his companions land in at the beginning of this story. Places like Jules’ hideout have a safer feel to it. The lighting may still be dark but warmer. The whole production has almost a theatrical stagey feel to it. Some sets are extremely detailed while the shots of the streets of Paris look like it’s on a stage. This actual gives the production some of its charm. This story definitely benefits from being shot in black & white. This story has a strong supporting cast to it. 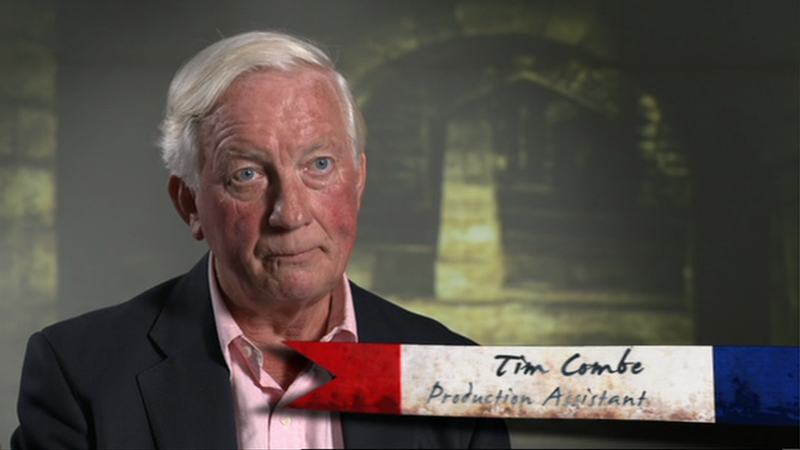 No one uses a French accent (except for some reason Ian in Prisoners of Conciergerie) but I actually prefer that. It could so easily fall into the realms of ‘Allo! ‘Allo! if not careful. My favorite is probably James Cairncross as Lemaitre. It’s odd because he actually has a pretty wooden performance especially in the opening scenes of Prisoners of the Conciergerie but I still really like his portrayal of the character. Edward Brayshaw is fantastic and perfectly cast as Leon and Donald Morley plays Jules with the right pitch. He is believable as someone who may need to kill yet is compassionate towards those who need help. Finally, there is Jack Cunningham as the Jailer. People talk about this being a comedic role. I don’t believe so. Once the Jailer and the Doctor start having scenes together he becomes a lot more bumbling but some of those early scenes are downright scary. He tries to make an advance on Barbara. The Jailer is a dark and creepy character. The big news surrounding this release was the announcement of episodes 4 & 5, The Tyrant of France & A Bargain of Necessity were going to be animated. These episodes were destroyed by the BBC years ago with only the audio soundtrack and a few clips existing. This news was met with great enthusiasm as many fans want to see missing episodes animated. The animation was done through Thetamation. I have watched this animation now a number of times. I am sorry; I am just not a fan of Thetamation’s style or direction for animation. I feel really crappy for saying that as I count myself as part of a group of people who are interested in seeing missing episodes animated. It seems churlish of me to want episodes animated yet to be annoyed about how they look once we get it. I also understand that there were concessions made to be able to afford the animation and a lot of talented people put a lot of time into this production. I will do my best to be very clear with my criticisms rather than be like “I just don’t like it”. Sometimes the same actor in live action can look completely different shot to shot but you know it's the same actor. I think in animation the look of the character should be more consistent. I do not like the style or look of the characters. In black & white they look like stone statues. The anime style of shadows on them is too harsh and does not play well in the realm of black & white. I can see how this works better in color animation of this style but not here. I believe there was a lot of rotoscoping done to bring movement to the character. In a very brief way of explaining it is tracing the characters from elsewhere such as footage from other episodes repurposing them to these episodes. I don’t think that is a bad thing but it leads to other problems. There is a massive problem with consistency throughout the two episodes animated. If you ever watch The Simpsons, Family Guy or even the other released animated episodes from Doctor Who: The Invasion, there are simple character rules that are not broken. No matter which way the character turns or which angle we are looking at their face, it is still that character. On these episodes, based on where Thetamation are getting their character from or how they are rotoscoping from other scenes, the characters sometimes look drastically different from scene to scene or even shot to shot. 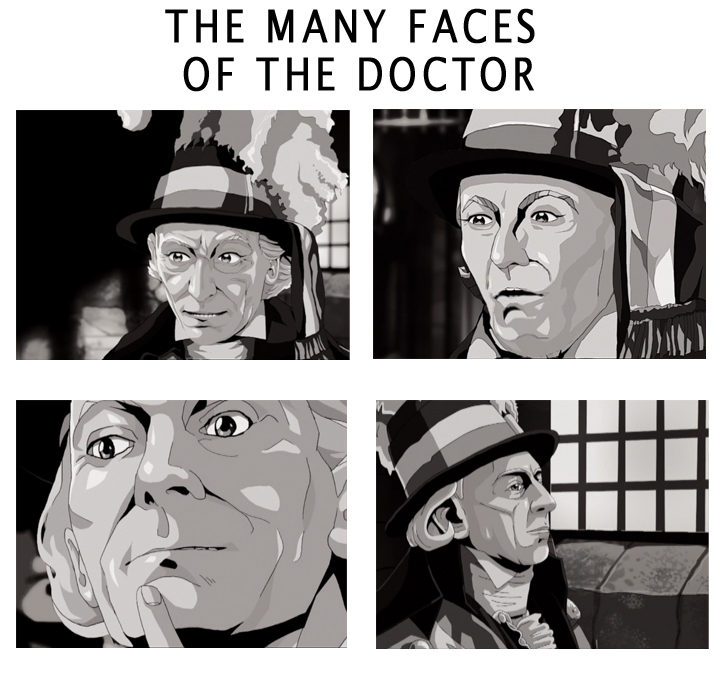 I think William Hartnell is the most affected by this yet to be fair William Hartnell is one of the most difficult human beings to illustrate. If this is being shot live and in a studio and if there is a shot of a real actor who, for whatever reason, does not look like themselves in a particular you still believe it because you know it’s them in front of you. Trying to get away with that in animation is very, very difficult and does not work. In my opinion it is best to come up with clear character designs and not deviate from those character rules. Another issue is that watching this whole story in one go, once I get to the animated episodes I get taken out of the story. It is not because the action becomes animated. 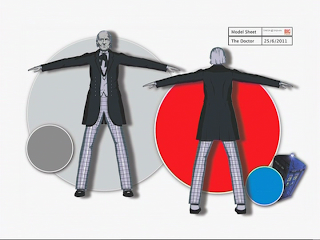 The direction and style of 4 & 5 are completely different from the episodes that still exist. Maybe I’m wrong but I think these should complement the existing episode and not try to be something different from them. The directing style is completely off. In fact the directing style is downright puzzling. In The Tyrant of France there are quite a few successions of quick shots within one second of each other. It makes no sense. There are a couple shots of just Ian’s crotch that I doubt was in the original broadcast episodes! I would have preferred to have the episodes stick closer to the camera scripts. I know firsthand that Dan Hall wanted to break up some of the camera scripts to add shots and give the animation more life and I am not against that. What happened here with camera movements and shots would never have been done in the studio from that period. It would have been impossible to shoot like that for 1960s television production. Also, the end credits list William Hartnell as “Doctor Who” whereas all the episodes from this story, from this era list him as “Dr. Who”. Its small things like that which really irks me. It’s almost like there are multiple groups working on this in isolation with no one bringing continuity to the episodes. I guess the question at the end of the day is were the episodes supposed to be recreated to be a part of the original story or were these meant to be completely its own style? I know which I prefer. I think these animated episodes are like a good rough draft but needed more time on them. I don’t think the BBC should stop making animated episodes or stop using Thetamation but I would prefer that they re-examine their process/style and bring some better consistency to their product. Audio Commentary (Episodes 1,2,3,6) Carole Ann Ford & Tim Combe for the whole story with Neville Smith, Jeffry Wickham, Caroline Hunt, and Patrick Marley coming in with the episodes they appeared in. It is a nice commentary with some wonderful stories. I think that Carole Ann Ford summed up the apparent grumpiness of William Hartnell better than anyone I have ever heard before. She clearly has found memories of him and her time on the show. There is also commentary on episode 4 with Ronald Pickup and Episode 5 with Philip Morris and Paul Vanezis. This is what I wanted to hear the most as these two are missing episodes hunters and was interested in what they had to say. Unfortunately, too much time was wasted with Paul and Toby going back and forth whether it was Paul or Ian Levine who made the BBC aware of who found The Reign of Terror episodes first in Cyprus. Who cares! One major error on the back of the R1 cover is that it doesn’t mention Toby Hadoke as the moderator of the commentaries. He did a great job on these and deserves the recognition for them. Don’t Lose Your Head: The Making of The Reign of Terror. This is a great feature that takes the perfect amount of time bringing us behind the scenes. We find out about how Henric Hirsch became unwell during the production due to the pressure of working on the series. It includes William Russell, Carole Ann Ford and Tim Combe. I like it when these features are not overly produced or trying to show off but are nice looking and simply presents us with the information of what happened while making this story. That is what this does. For the animated episodes there are The Set Tour and the Animation Design Gallery. I really enjoyed it. In fact, the Animation Design Gallery is great. It made me excited for the episodes but unfortunately it did not translate well as an animated production for me. There is the Photo Gallery which, as always is great and the Production Notes. There should really be a credit for the people involved with the Production Notes on the back cover just like on the R2 release because this is a ton of work and they are unsung heroes for these releases. These episodes have been remastered. Episodes 1 -3 have always looked a bit suspect. Mainly because there were the lesser quality telerecordings that are suppressed field recordings which is a lesser quality recording. Even at that, I think Episodes 1 & 2 look great and hold up very well. Episode 3, A Change of Identity, is a new transfer from a Stored Field Recording and really looks nice. A Stored Field recording is a higher quality telerecording than a Suppress Field telerecording. This version of the film print was not present on the VHS release so this is new for DVD. It looks great! I have been waiting to see how good that episode looks. In fact it looks miles better than the first two episodes. The final episode Prisoners of the Conciergerie always looked good so I know this was going be alright and I wasn’t disappointed by it at all. I love that these episodes are restored and I never take that for granted. It’s always the highlight of the releases for me. After the release of Shada, there were some questions if the range was moving to clear cases. I think BBC Home Entertainment/Warner just got a good deal on 3 disc cases that just happened to be clear. The Reign of Terror is in a single amary black case. The cover was done by Lee Binding with a simple yet striking cover. There are a lot of elements to it but it’s not overly complicated. Plus not to put that image of Hartnell for this story would be a crime! It’s a very well-done cover. The Reign of Terror is one of my favorite stories. Even though I wasn’t thrilled with the animation; it is just my own opinion. Check it out for yourself! It’s worth buying for more than just the animation. This really is a well put together disc. I wish that we would have been able to get the original linking material recorded by Carole Ann Ford that was presented on the VHS tape in 2003. There wasn’t room. There some discs which I think the material on them is tangible at best but not this story. I think this has the right amount of content for this story and as usual I think you get a lot for your money! 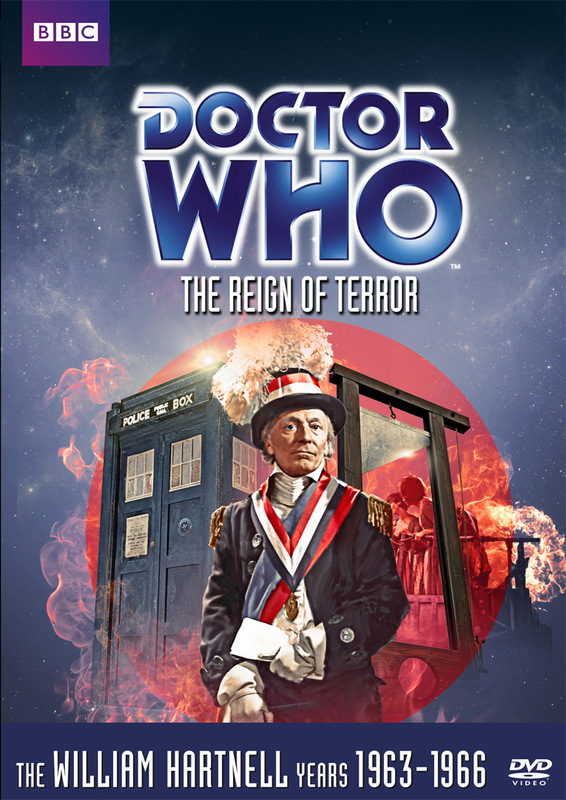 1 Disc: The Reign of Terror (1-6 with 4&5 animated); Commentaries, Production Notes, Don’t Lose Your Head; The Set Tour; Animation Design Gallery and PDF Materials: Radio Times Listings for this story. Upcoming DVD/Blu Ray Reviews: House of Cards Trilogy Blu Ray Set. This Week: I am running behind. For the next couple of articles I was planning to look at a very different kind of comedy with Series 2 of ‘Allo ‘Allo! I may hold that back for a while. It will either be that or an episode of Out of the Unknown. Good, fair review of this story, Greg! I'm not as big a fan of this story as you (unlike the Doctor, the French Revolution is very much NOT my favorite era of history) but am always glad to see more early Doctor Who stories released. The animation isn't perfect, but it didn't bother me overmuch (I didn't think the animation on THE INVASION was that great either). I do agree with you that it's best for the animation to match as best as possible the surrounding live action episodes (which is something that THE INVASION animation did manage to do pretty well). At any rate, I highly welcome more stories with animated missing episodes to be released. And as usual with 2Entertain, the extras package is very good. Thanks for the kind words. It's odd, if there was just a little more consistency across the board with the animation, I think this would be great. Hopefully their next effort will smooth out some of the blemishes. Then again, what I consider to be faults may be of no interest to them. Who knows? Above all for me, more so than animation or extras are the episodes to look as amazing as possible and that is exactly what happens here. One of my favorite stories looking as goos as it possibly can. Quite an in-depth review! I shall defo be coming back and checking out more of your blog in the future! 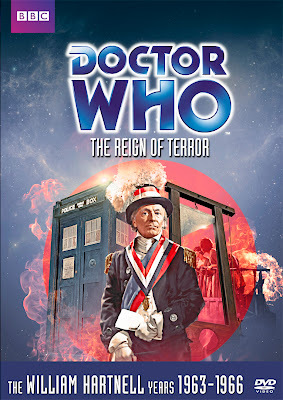 Feel free to check out my blog if you like for a somewhat shorter review of The Reign of Terror. Thanks for the kind words! What is the URL to your blog?